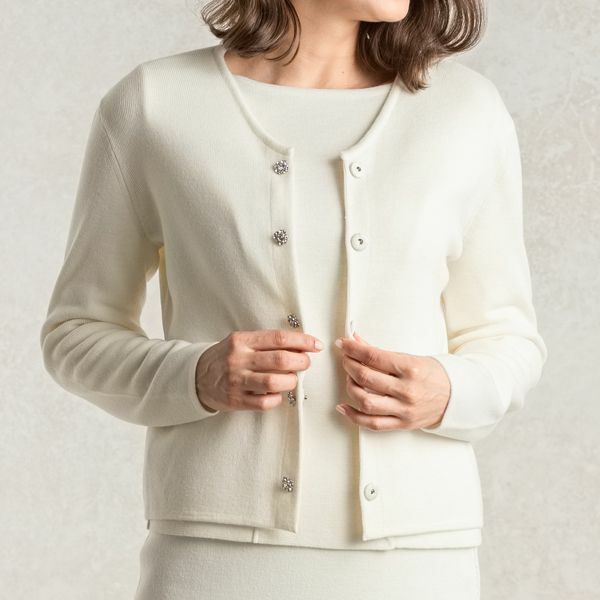 Our Kanazawa-made washable knit cardigan is made from an extremely soft and warm material. The Swarovski crystal-embellished bijou buttons add a subtle glimmer. Pair with any outfit to add a touch of luxury. The Swarovski bijou buttons combined with the delicate yet chic knit material create a wonderfully luxurious glamour. Wear over your shoulders for even party scenes. 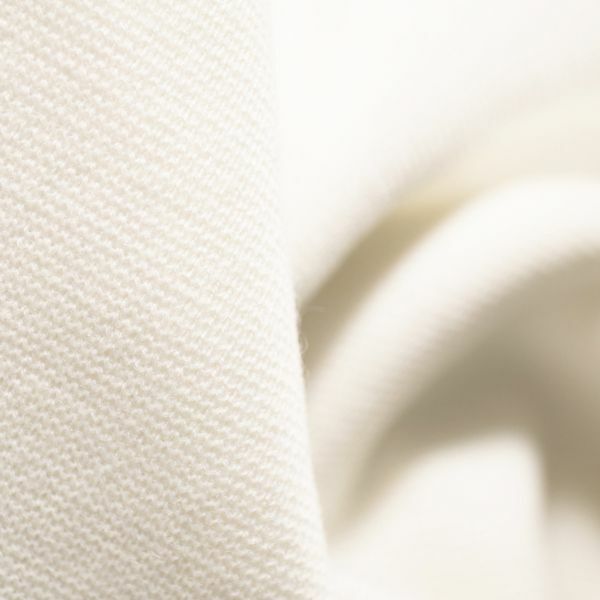 While being extremely soft, the material is durably knitted. This high quality wool blend is washable. This knit material was carefully woven in Kanazawa, Japan. Not too loose, and not too tight. The slightly short length aids in the appearance of longer legs, while the V-neck beautifully displays your décolleté. Perfect for glamorous events. Coordinate with a dress or trousers with ease.